Staff members will post in this thread to announce any small changes and/or updates that are too derisory to warrant their own thread. The Global Forum Rules have been posted in the News & Updates forum. You can find them here, please take your time to read through them, even if you have done so in the past. Made the old domain redirect to pokemonhackersonline.com. Any issues, let me know. A thread to explain the new usergroups has been posted here. Check it out! Themes "Akuroma's Genius" and "Akuroma's Genius 2.0" have been updated to PHO branding and reissued. Enjoy! An affiliation bar, with links to our affiliates, has been added to our styles. You can find it near the bottom of the forum's homepage. Looked through some old members, I've given Harry/Manipulation Ex-staff and VIP ranks. 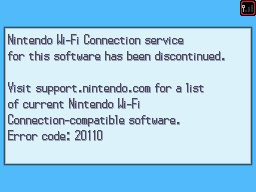 Because of the shutdown this morning of the Nintendo WiFi servers, I've made a subforum dedicated to the efforts to keep Nintendo WiFi going. You can check it out by clicking these words. Thanks to @MercuryShadowScizor for bringing this to my attention, I've gone and fixed a few issues with the Ex-Staff user rank. Users in this usergroup should now be able to have a proper signature, as well as not have all their posts placed into moderation. If there's any more quirks and whatnot with the group, feel free to PM me and I'll take a look. Blogs have been disabled for an indefinite period of time due to spammed posts by bots filling up our moderation queue. We'll work on a solution for it, but we don't know when we'll have them back.